With our XR ENDURO SERIES™ Cub Cadet presents robotic mowers that raise the bar for automated lawn mowing. You can choose from a total of five models: the new XR1 500 for small areas, the two XR2 models for areas up to 2,000 m² and the two top-of-the-range XR3 range models for areas up to 5,000 m². All of which meet a wealth of power and performance needs. Designed to produce a perfectly trimmed lawn for you to enjoy the robotic mowers will save you the time and effort of mowing the lawn, even when you're on holiday. The strong, floating, self cleaning deck handles challenging terrain with incredible accuracy, mows up to 10% faster than similar models and produces clippings fine enough to mulch into your soil which act as a natural fertiliser - resulting in a better-looking lawn, improved performance and reduced maintenance. Utilising state-of-the-art technology you'll have complete control of your robot using your smart phone or home computer to view reports and change your mowing schedules. As well as being Alex compatible the robots have pin code security, Bluetooth remote control and GPS so you can track your robot. Cub Cadet XR robots cut right up to the edge, the patented blades cut beyond the wheelbase so there is no need for a lawn edge cutter or strimmer. Finally RoboZone is a battery or mains signal transmitter which means that your robotic mower can be used in another garden or hard to reach areas where there is no mains power without having to buy a second charging station. Whichever XR robotic mower you choose, the same end result is guaranteed: a perfectly trimmed lawn in next to no time. The new Cub Cadet XR1 500 robotic mower is ideal for anyone owning a smaller lawn of up to 500 m2 and is looking for a compact yet high-performance mower. Driven by a 12V/8.8 Ah lithium-ion battery and a 100-watt motor, the optimised mowing and drive engines combined with the sure-grip spiked wheels achieve a high area performance.So only 3 hours of mowing are required per day for 500 m2 of lawn. Which means the lawn is available to you 21 hours a day. The two XR2 models are the perfect place to start in the mid robotic mower range, ideal for lawns up to 2,000m². They feature an impressive mowing system that puts other robotic mowers in the shade. The unique edge mode, where blades extend beyond the wheel base, ensures absolutely every edge is mown, which eliminates the need to tidy up afterwards with a lawn trimmer.And thanks to the specially designed spiked wheels the XR2 models manoeuvre extremely well and safely - even on wet grass. The two XR3 models are in a class of their own. They feature an extremely durable and rapid mowing system that meets the highest demands for lawns up to 5,000m². These top-of-the-range models also include the unique edge mode whereby blades extend beyond the wheel base, ensuring that absolutely every edge is mown: no more having to manually tidy up afterwards with a lawn trimmer. The high-performance brushless motor operates at 2 x 200 watts and is extremely durable. 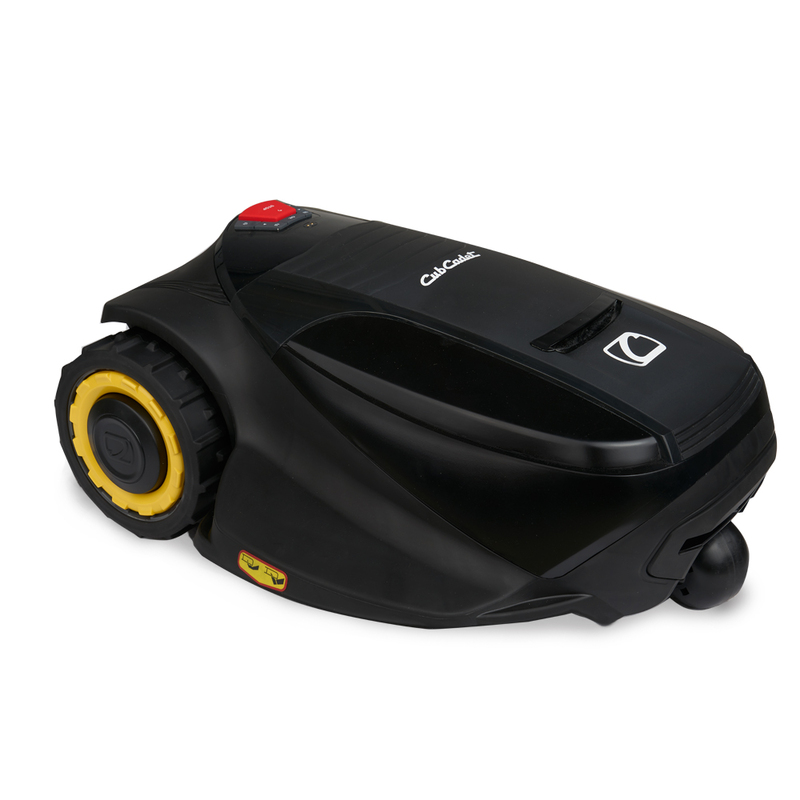 Outperforms other models with a durable and powerful mowing system. Mows up to 10% faster all-round. 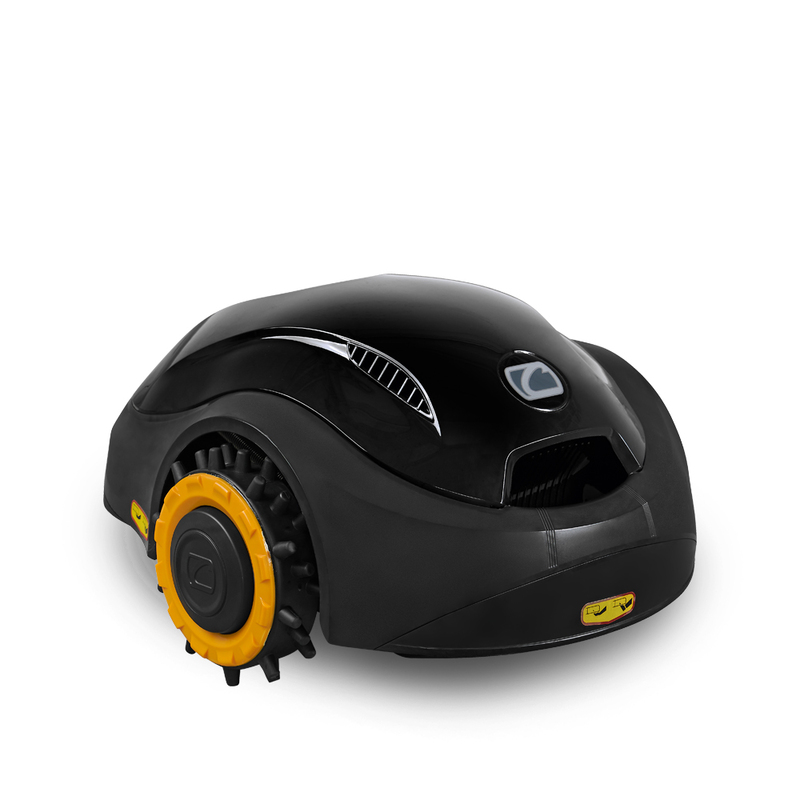 Performance and features to meet professional needs, such as a GSM module, SmartApp 2.0, brushless DC motors and multi-zone mowing. Sub-zones connected to the main zone can be mowed consecutively. For separate zones that are not connected to the main area a second station or a RoboZone us required. By entering your own unique PIN you can ensure that no one else uses your XR robotic mower. Extra-wide high-grip wheels for exacting requirements. Mows lawns measuring 500–5,000 m² efficiently. Instead of just stopping and turning shortly before it reaches the perimeter wire, the XR robotic mower turns in a continuously smooth arc, saving time. High-performance motors cut lawns quickly and efficiently. The brushless motors (not included in the XR1 500 and XR2 1000) run almost silently and require minimal maintenance. 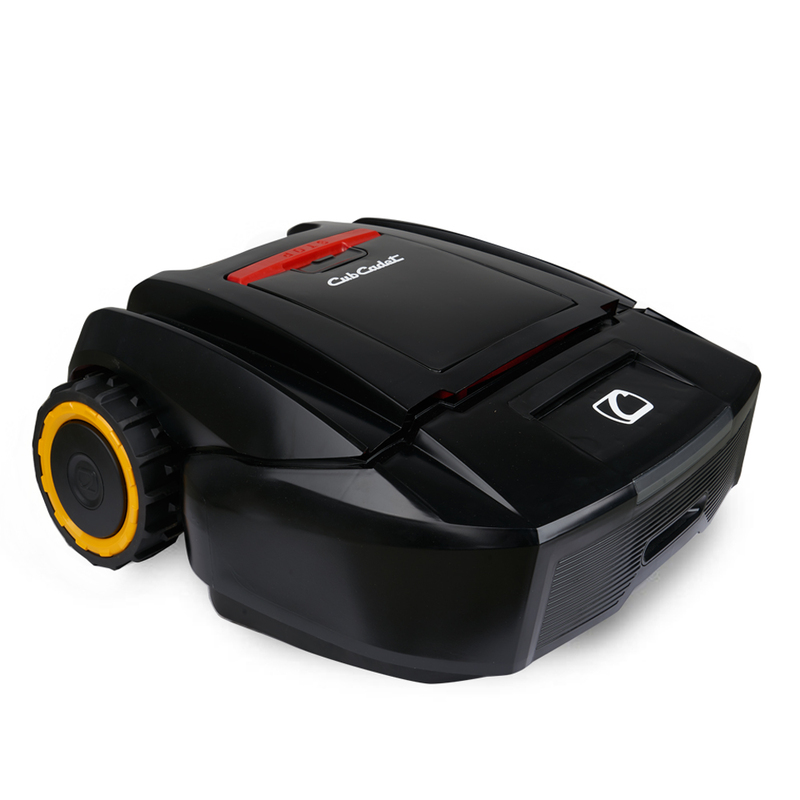 Communicate with the robotic mower via your smart phone and control all its functions.